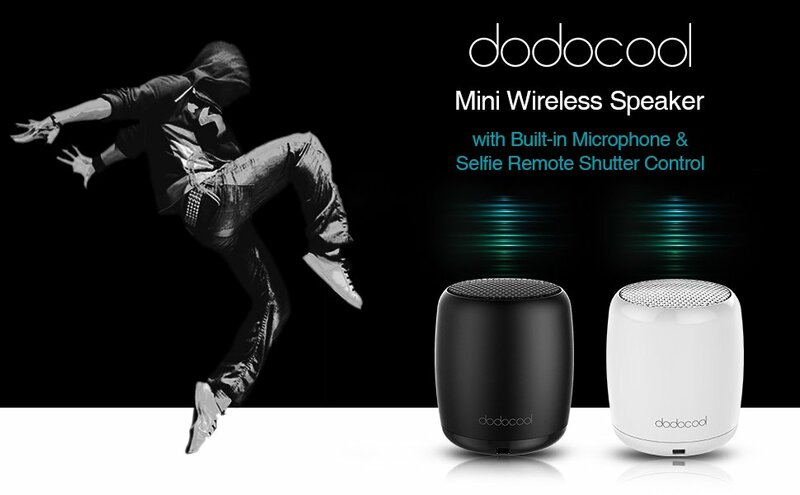 The Dodocool Mini Wireless Bluetooth Speaker packs a serious punch for such a small size! While you won’t get the deep sounds like you would from a larger bluetooth speaker, this mini speaker sounds good for its size and sounds better than the speakerphone on your phone. I’ve used it in the bathroom while showering, on the patio, next to a hot tub, and anywhere else I can enjoy music through a bluetooth speaker. It is small enough to throw into a backpack or even a purse and doesn’t weigh very much. The speaker offers 4 hours of battery life and takes about 3 hours to fully recharge with the included micro-USB cable. Depending on your use, the battery life could be better, but I usually only charge it about once per week for my use. For under $15 on Amazon Prime, the Dodocool Mini Wireless Bluetooth Speaker is well worth the price. Pairing the speaker is as easy as any other bluetooth device and the connection after pairing is fast. You’ll get the typical 33ft bluetooth range if you walk away with your phone. You can also use the button on the bottom of the speaker as a remote camera shutter, which I thought was a cool feature that you typically don’t see in bluetooth speakers. The speaker feels durable and I haven’t had any issues with moisture, so I expect that it’ll last a long time. Buy the Dodocool Mini Wireless Bluetooth Speaker for $12.99 now on Amazon with Prime. I used to have one of these in the military. Great speakers if you’re looking for portability.